Vancouver Island Pagan Pride welcomes Lane Moon and Jeanie Wilson! 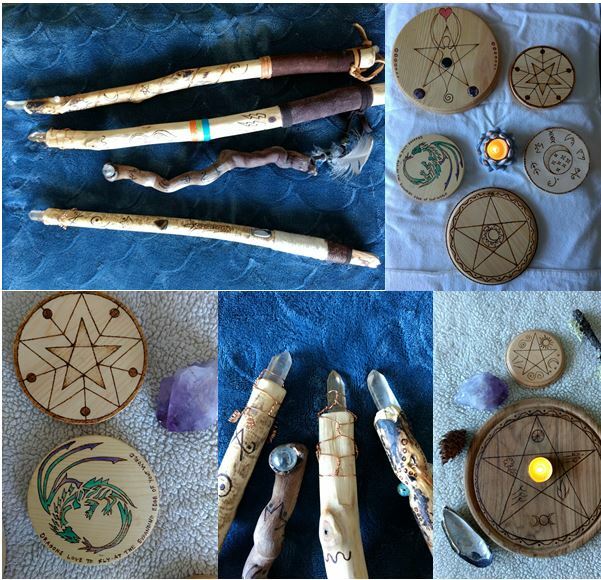 Lane Moon features hand crafted wooden wands with symbols and crystals, wooden ritual boards with protection symbols burnt into them while enchanted and crafted within the circle. Jeanie Wilson features handmade wire wrapped crystal pendants and handmade beach glass and driftwood pendants and paintings. Visit Lane Moon and Jeanie Wilson at Pagan Pride Day in Sooke on August 11th!